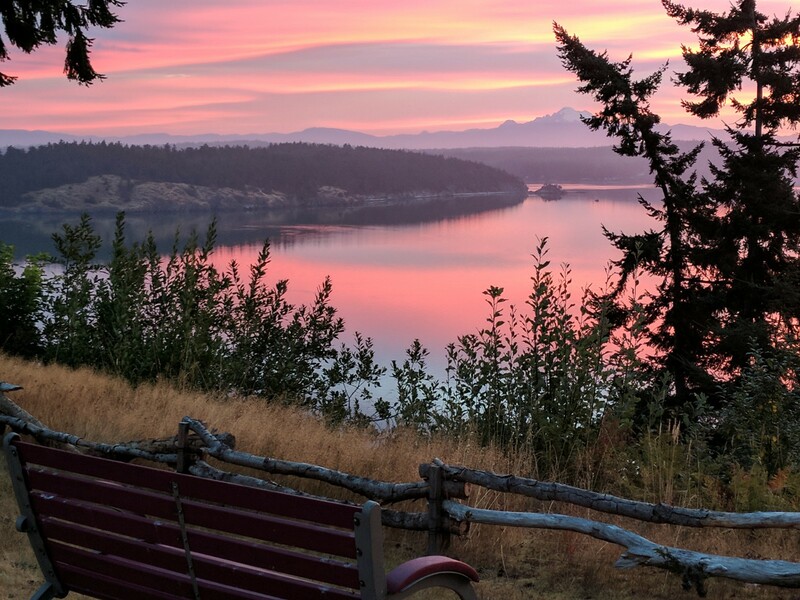 Whidbey Island, Washington is one of the most diverse islands in the entire Puget Sound with a variety of great outdoor activities such as hiking, biking, boating, whale watching, kayaking, birding, and scuba diving…just to name a few! One of the most beautiful destinations on Whidbey Island is Fort Ebey State Park and the areas surrounding it. The State Park offers three miles of coastline and 28 miles of hiking trail over 645 acres and some of the best views of the Strait of Juan de Fuca and the Olympic Mountains. Serving as one of several coastal defense bunkers along the west coast during World War II, Fort Ebey is now known for its fishing, hiking, mountain biking, paragliding, bird watching and camping. Within the park lies Lake Pondilla, which has smallmouth bass and is within walking distance from the campground. Lake Pondilla is also known as a “kettle”. Kettles were created during the retreat of the ice age glaciers, and this beautiful lake is definitely worth finding. There is even an earth cache named “Kettles and Kames” available through Geocaching.com and if you do this cache you will learn that there are more than 30 kettles in the nearby area.. The designation of State Route 525 and Highway 20 as a Scenic Isleway keeps many drivers on the main roads, leaving cyclists to enjoy the views along waterside roads less traveled. 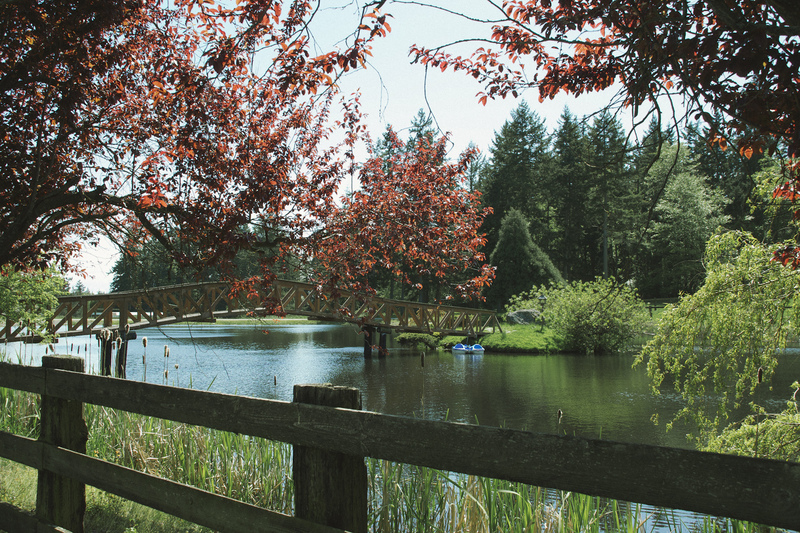 Views of lakes, Puget Sound, farmland and wildlife, combined with great eats and places to stay, make biking Whidbey a cinch. Complete with free transit buses Monday-Saturday, Whidbey is a bikers’ haven. For those cyclists seeking the dirt, mountain biking on Whidbey Island is just as exciting as road riding. Mountain bikers enjoy the unique ride through the Kettle Trails single-track outside of Coupeville near Fort Ebey. Another great riding spot is on south Whidbey at Putney Woods, on Lonelake road and Saratoga Woods Preserve on Saratoga road outside of Langley. With almost 1,000 acres of ride-able terrain, there’s single-track for the adventurous, plus miles of rocky roads for family adventures. On the migratory flyway Bird watching is an activity that can be pursued year round, where you’re sure to see something different in every season. In the fall and early winter months, the Canadian snow geese can be seen migrating south for the winter. There are over 60 pair of eagles nesting on Whidbey Island. During the haying season, in the summer, eagles can be seen circling the fields looking for their next catch. Herons are plentiful on the shoreline of the island. Their long legs and beaks make an unforgettable silhouette impression. Wildlife habitats include old growth and mature second growth Douglas fir forests, old orchards and open fields, fresh and salt-water wetlands, and many, many miles of scenic coastline. Kayakers may discover gray and orca whales, sea lions and seals, eagles and osprey, crabs, starfish and herons, porpoises and herons; just to name a few animals that tend to find a kayak less intimidating than a power boat. Traveling in silence is a great way to get up close and personal with the wildlife that resides in, plays in and travels through the waters in Island County. With the diverse sea life that inhabits the waters surrounding Whidbey, SCUBA diving is becoming more popular every year. Whidbey offers several diving spots, including Deception Pass, Ebey’s Landing, Keystone Underwater Park and the Langley Tire Reef at the Langley Marina. Expect to encounter sea life such as lingcod, sea cucumber, crab, scallops, octopus and wolf eel – along with other species. Keep in mind that Open Water Certification is mandatory before you take to the water. If you want to keep your feet dry while enjoying the views of these gorgeous waters, another locals’ favorite is the bluff trail at Ebey’s Landing. Park at the trailhead near the beach and enjoy this moderate 3.5 mile loop trail, where you’ll enjoy views of the Olympics, Mt. Baker, Mt. Rainier and you’re sure to spot a freighter or two heading out to sea. Eagles, red tail hawks, and the beauty of the bluffs will astound you. 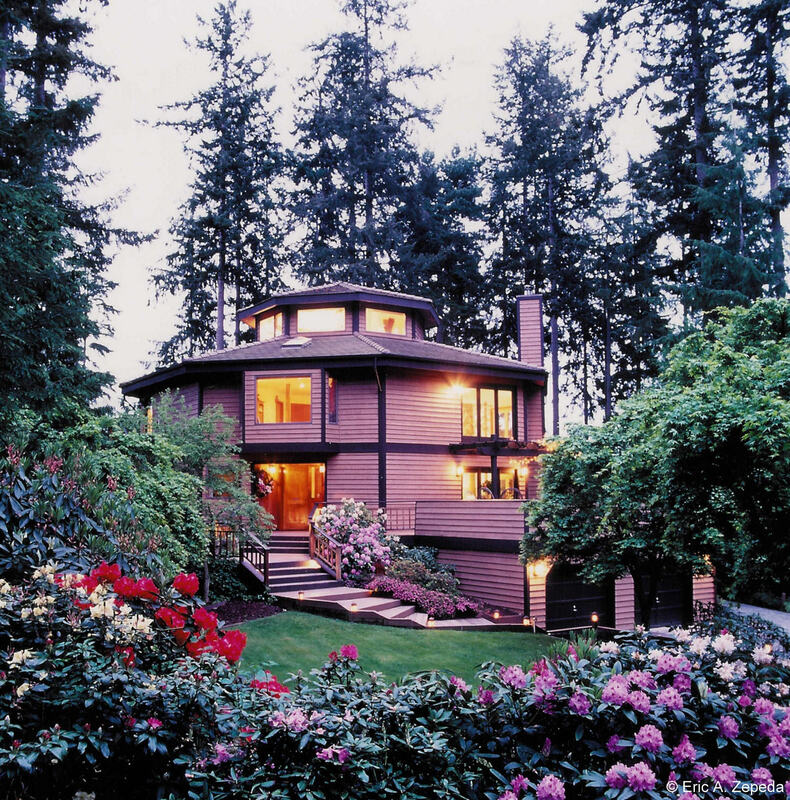 Take time to explore Whidbey Island and all the year round outdoor adventures that you’ll find here – you won’t be disappointed! 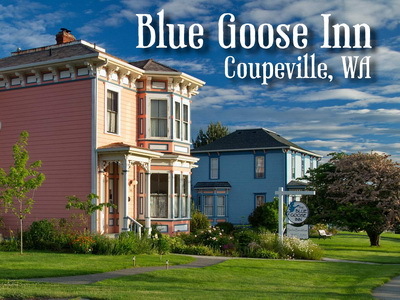 Centrally located, The Blue Goose Inn is the perfect jumping off point for all your outdoor adventures. 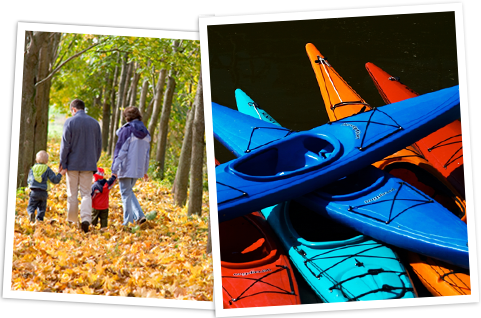 Walk to the wharf and rent a kayak for a paddle to the mussel rafts in Penn Cove. Enjoy the bluff hike on Ebey's Landing just across the Island, where you're sure to see hawks and eagles cruising along the bluff, as well as some of the most awesome views on the island! 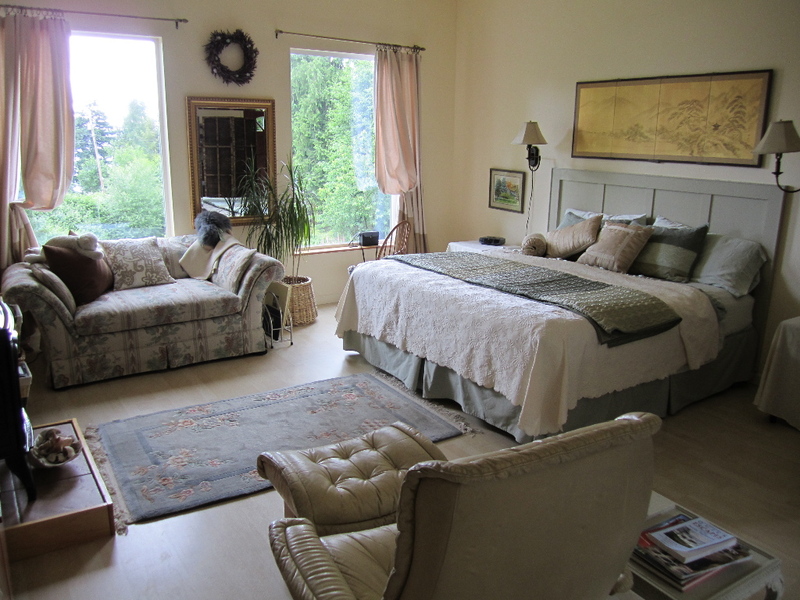 Eagles Nest Inn adjacent to almost 500 acres of wildlife corridor and hiking trails and some of the best single track mountain biking trails on South Whidbey. On property birding and wildlife viewing. Minutes from Langley marina for kayaking.